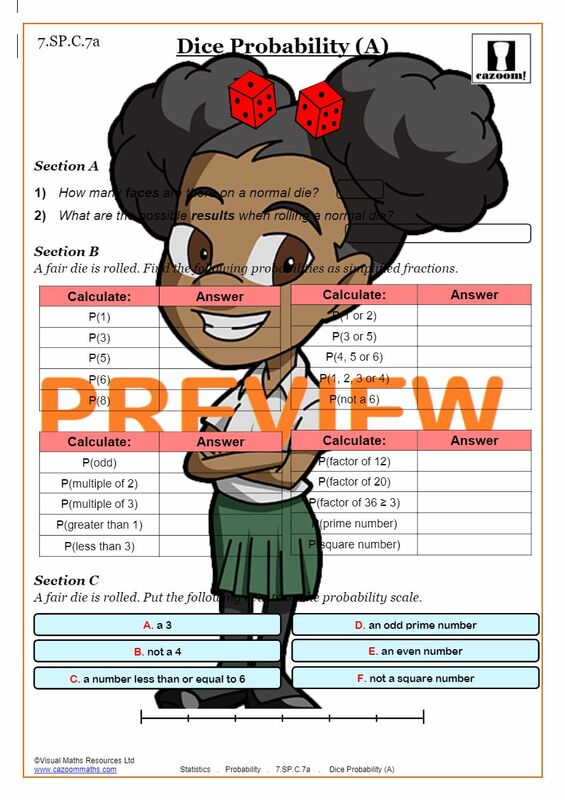 It’s highly probable that your student will come across probability questions during their time at school and our probability math worksheets have been designed to cover all they need to know to ensure they feel confident in answering any type of probability math questions. 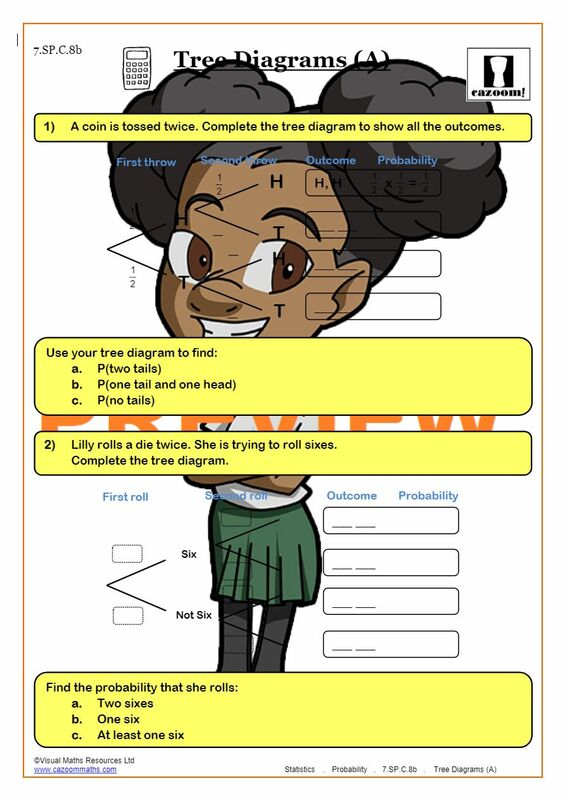 If you require probability tree diagram worksheets with answers, or probability math questions and answers you can find them here at very good value. 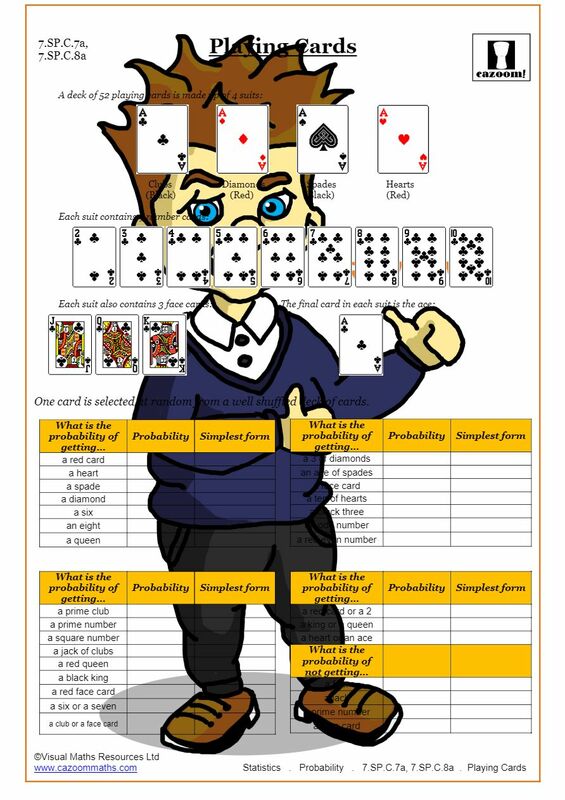 So don’t let your student become confused by probability, our probability activities are probably the best resources available. 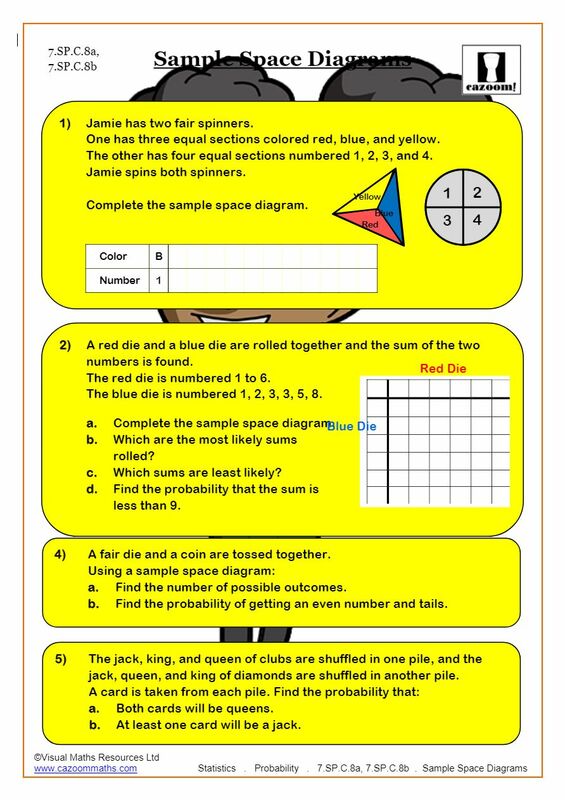 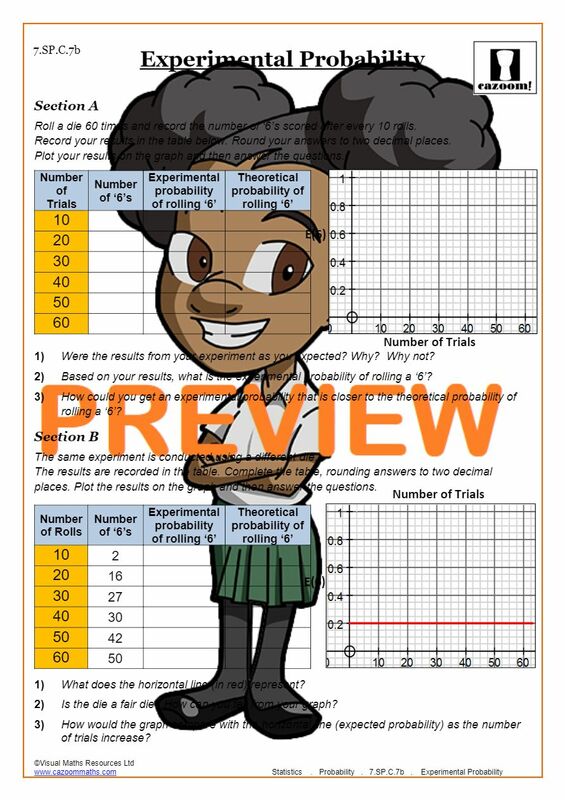 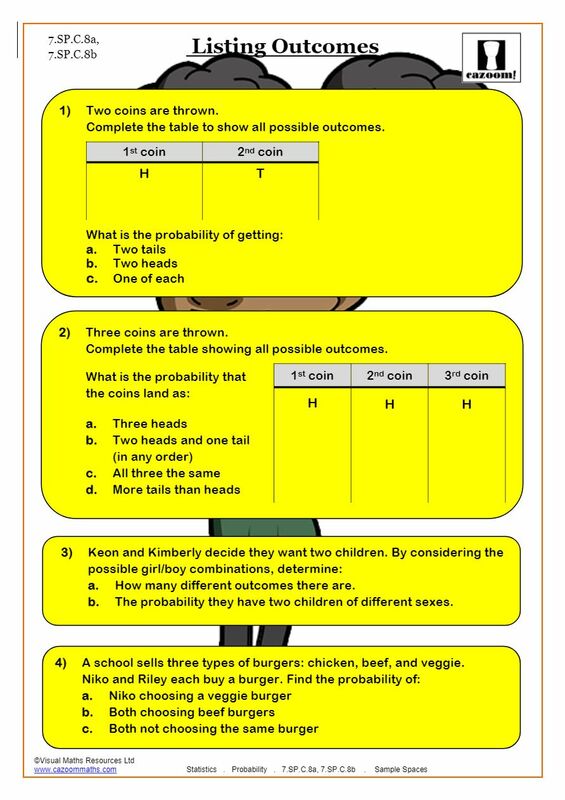 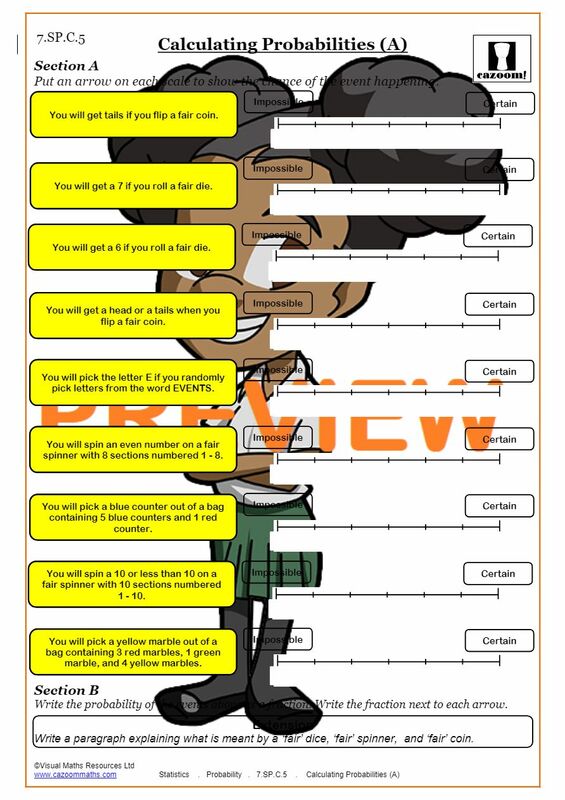 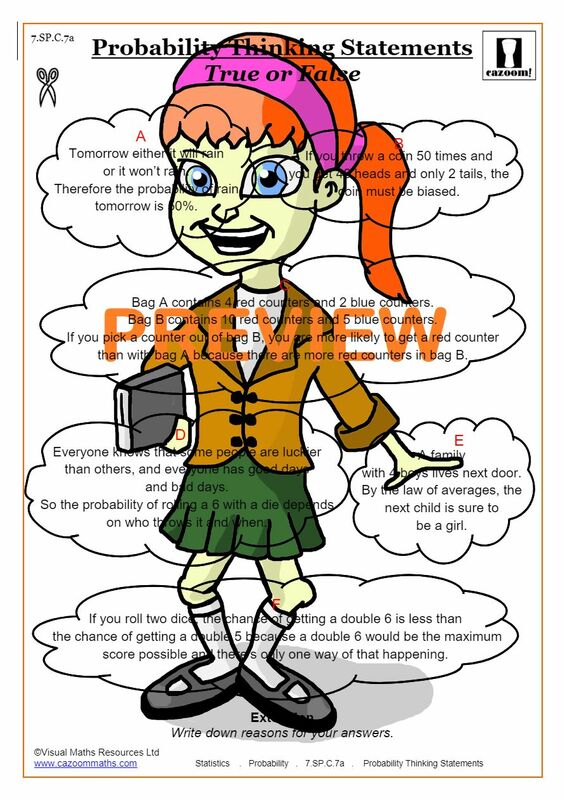 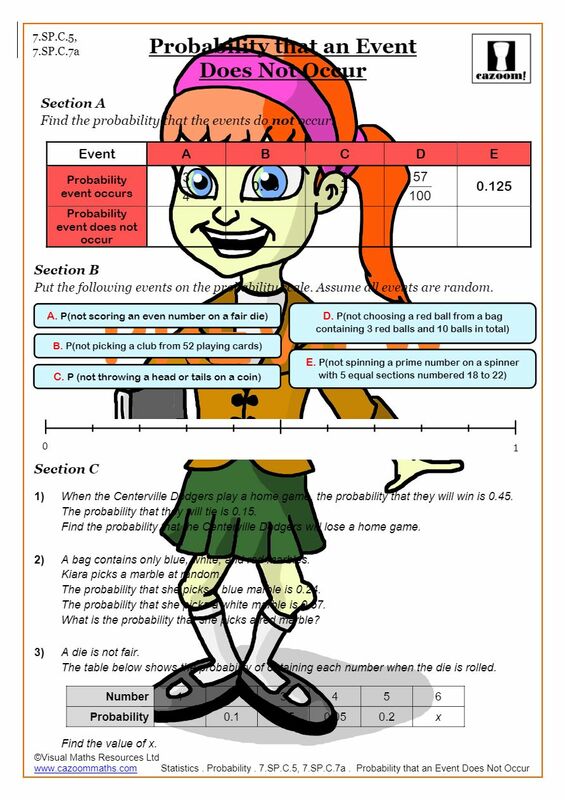 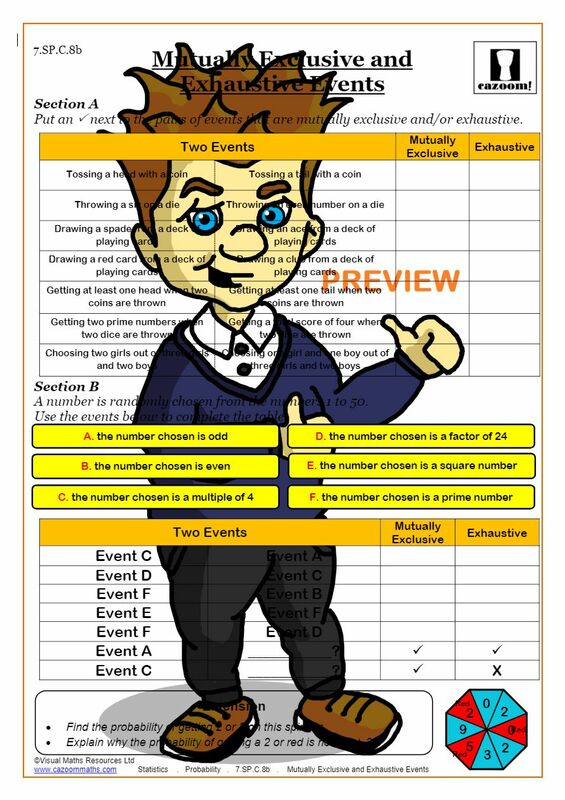 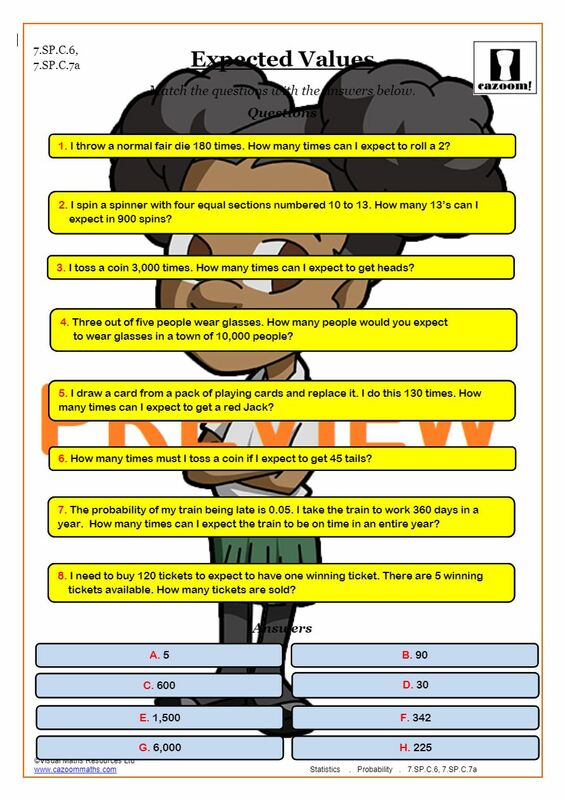 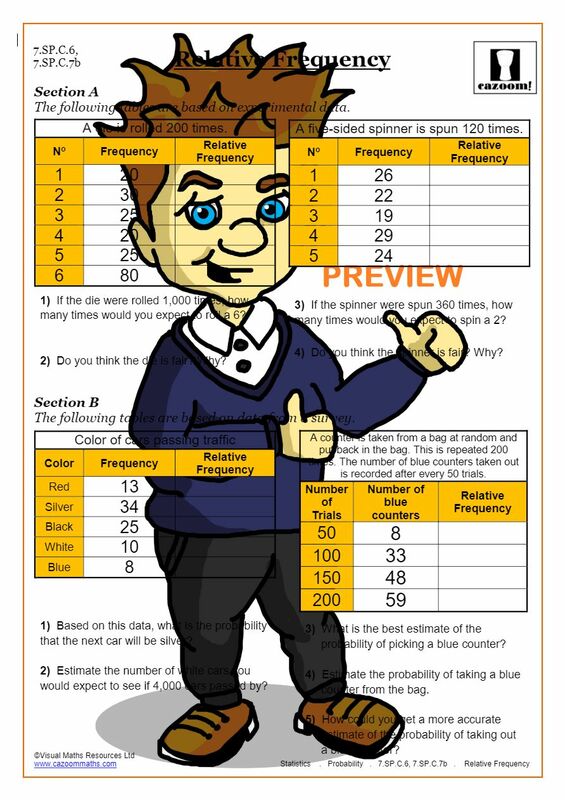 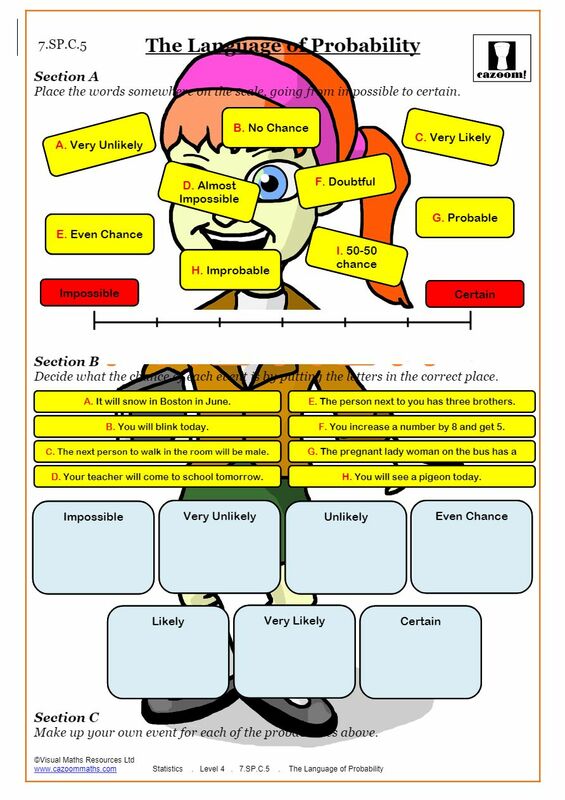 At Cazoom we pride ourselves on the ability to create easy to understand, easy to follow probability worksheets which will help your pupil or child conquer probability at home or at school. 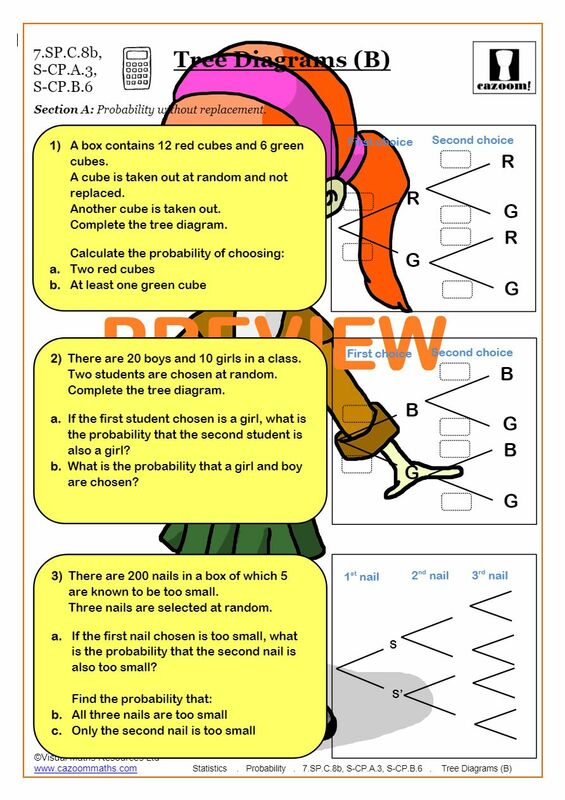 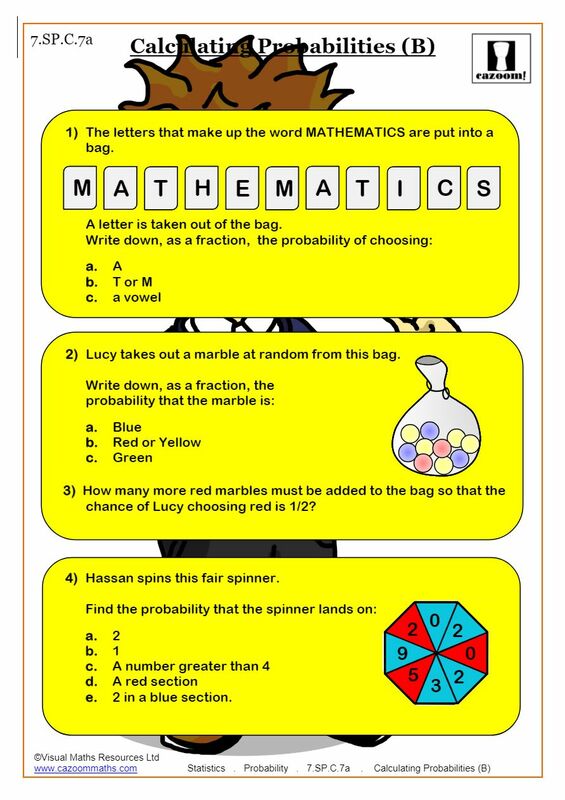 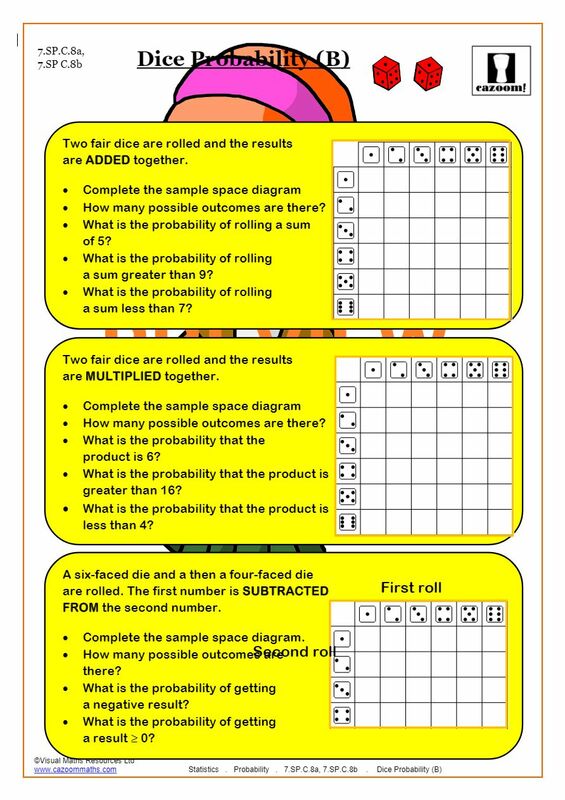 If you need a probability scale worksheet or probability worksheets with answers, our vast selection of worksheets provides clear and concise information on how to solve probability questions.